Cygnet Female Urinal With Handle, Anatomically Shaped. 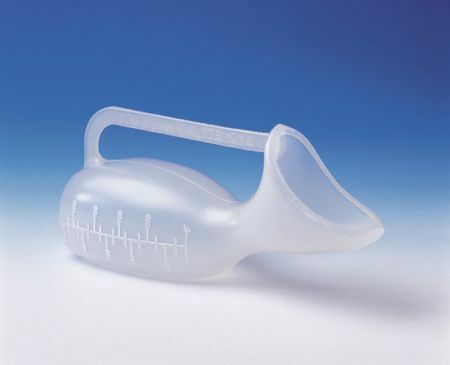 A clear polypropylene moulded female urinal bottle with integral handle, anatomically shaped at the opening, calibrated for output and autoclaved. Capacity 1 litre (2.2 pints).